This is the most comprehensive resource for candidates sitting the challenging final Clinical Skills Assessment exam, offering a complete curriculum guide as well as 110 role plays that can be removed and practised in pairs. the only CSA casebook and revision guide providing information and answers across the curriculum. Clinical Skills Assessment (CSA) for the RCGP (Royal College of General Practitioners). Simulated Surgery, Learning Needs Assessment, for the International GP Recruitment (IGPR) Scheme, GP Returner Scheme and GP Induction Scheme. Objective Structured Clinical Examination (OSCE) for the RACGP (Royal Australian College of General Practitioners) Fellowship. 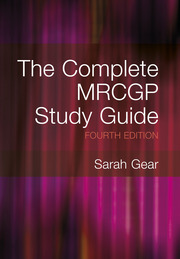 GPEP1 Clinical Examination for the RNZCGP (Royal New Zealand college of General Practitioners). The Certification Examination in Family Medicine simulated office orals (SOOs) for The College of Family Physicians of Canada." The Family Medicine Certification Examination for the ABFM (American Board of Family Medicine). and will remain an invaluable resource for best general practice after qualification. Getting Started: How to use the CSA Casebook. FOCUS Consultation Model. Giving Feedback. Top Tips. Useful Phrases. Jargon Switch. Resitting the Exam. Cases within the RCGP Curriculum: Healthy People. Genetics in Primary Care. Acutely Ill People. Children and Young People. Older Adults. Women’s Health. Men’s Health. Sexual Health. End of Life Care Mental Health. Intellectual Disability. Cardiovascular Health Digestive Health. Misuse Drugs and Alcohol. ENT, Oral & Facial Eye Problems. Metabolic Problems. Neurological Problems Respiratory Health. Musculoskeletal Problems. Skin Problems.. Examinations Card Check Lists. Dr Emily Blount became a GP in August 2014 after scoring in the top 3% of candidates in her CSA exam. Dr Helen Kirby-Blount became a GP in July 2015 after sitting the CSA early in her training. Dr Liz Moulton MBE has been a GP trainer for 25 years, with a wealth of experience of preparing candidates for the MRCGP. She has undertaken most roles within HEE Yorkshire and the Humber including Deputy Director of Postgraduate GP Education. It’s a truism that the best way to prepare for the CSA exam is to consult with patients. But for ‘spare time’ preparation, when there are no patients handy, role play with realistic cases and informed, constructive feedback is the next best thing. And ‘CSA Casebook’ will provide CSA aspirants and their educators with all the material they need. This excellent and comprehensive resource ticks all the required boxes but goes over and above by providing detailed ‘ideal’ consultation answers plus a ring-binder format enhancing sharing and interaction. Every trainer should have one. How easy would it be if all the materials you needed for the CSA were in one book, and the curriculum was distilled into a usable guide for you? Here it is. Complete CSA is a one stop shop of excellence, combining cases with exemplary consultations and background knowledge for those tricky scenarios. The absolute mastery of Complete CSA is the way it is so comprehensive without overwhelming. A must have revision aid. A treasure trove of CSA cases. 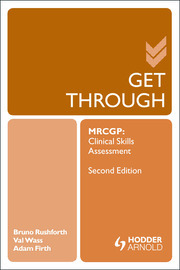 Well laid out in line with the RCGP Curriculum with well referenced learning points and plenty of practical advice. I have been a CSA examiner since its inception and have worked on the Bristol CSA Study Course since it came into being. 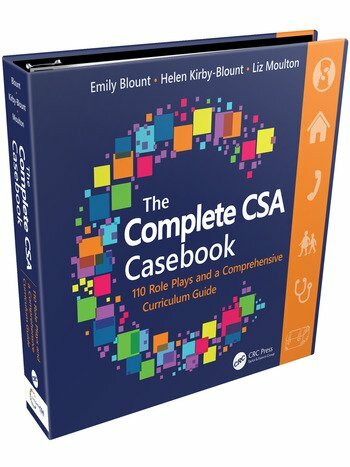 The Complete CSA Casebook uses Liz Moulton’s approach to the consultation to best effect. The sections on assisting the approach to passing the cases is well worked up and the tips and referencing are up to date with the latest references and thinking. The cases are usefully grouped in curriculum sections. My assessment of the cases having worked through them with my GPRs (all of whom are planning to take the CSA in the next three months) is that they represent a level of complexity and difficulty slightly above the CSA cases themselves which some consider an advantage. Overall we feel this book will prove to be a very valuable resource for groups working for the CSA. 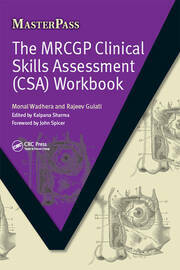 This book is an excellent resource for any GP trainee preparing for the CSA. The authors provide useful hints and tips on a large number of important areas as well as over 100 cases covering all aspects of the RCGP Curriculum. The cases are a good representation of what you will encounter on the day and the ring binder format will make for easy role play when revising. A great book for GP trainees and trainers alike. This book covers all aspects of the RCGP curriculum to an extremely high standard with the latest guidelines summarised in a superbly convenient, easy access way. During revision you end up with so many resources for the different aspects of curriculum that to have them all to hand while role playing is priceless. The layout is enjoyably logical, coordinated and allows a consistent safe approach to the exam, as well as for GP training and real life consultations. The colour coordination is a particular highlight, and the patient / doctor cards allow effortless CSA exam style case practice. The book would also remain extremely useful once qualified for refreshing memory of guidelines and brushing up on essential GP skills and knowledge. This is a timely and innovative approach to CSA revision, recommended as a key part of CSA revision strategy. This book offers an excellent focus for group CSA practice, and the paired cards and feedback sheets are straightforward to use. CSA practice with colleagues is one way of making revision less lonely and more effective - Blount and colleagues offer an engaging useful and fun way to do this.